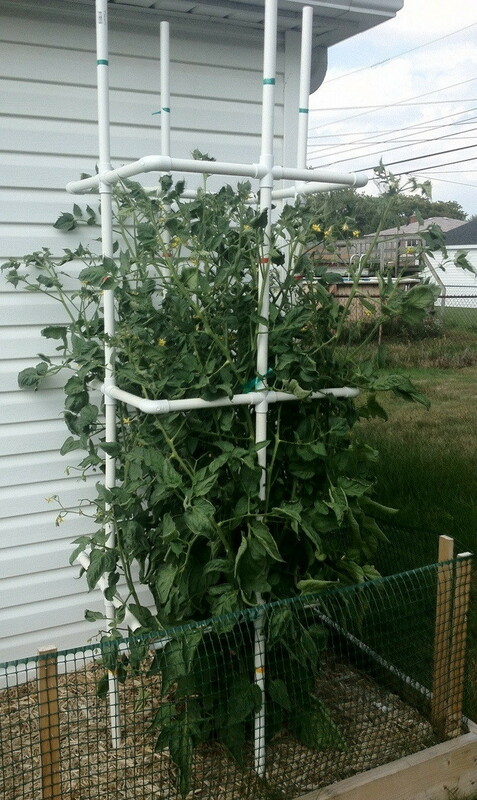 A sturdy Tomato cage made from PVC pipe will provide support for your tomato branches. This is needed so the tomato stems do not break with the weight of the tomatoes growing on the branches. Cheap wire cages are available but they are to weak to provide the best support for a big tomato plant. A PVC pipe is very cheap and they are very strong. Cutting PVC pipe is super easy and can give you a sturdy tomato cage structure that will last for a very long time. 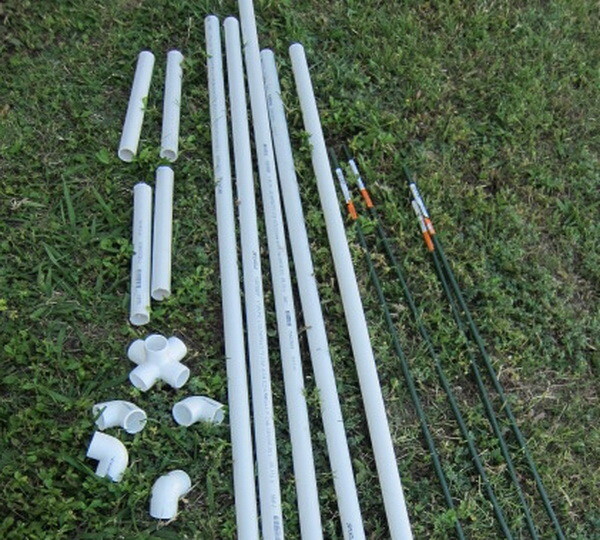 Step 4 – Insert an 12″ PVC pipe into the connectors going horizontal on one leg. Attach the opposite end of the 12″ arm to a second leg. Insert three more arms into the other side of the connectors and then attach the ends of these arms to the third leg. Step 5 – Insert the set of three arms to connect the first and third legs to complete the tomato cage. Step 7 – Next put the cage over your tomato plant and insert the bottom metal rods and 10″ of each PVC leg in the ground to secure the cage. Then pull the branches out and through the PVC spaces as the tomato plant grows. Finished.